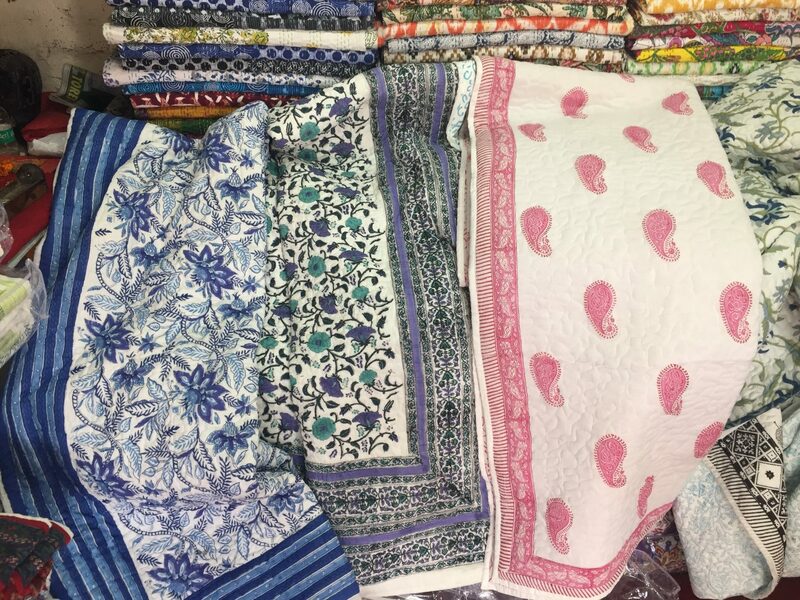 Treasure hunt in Jaipur’s bazaars, savour the talent of traditional block printing craftsmanship while listening to the hum of a traffic jam soundtrack. 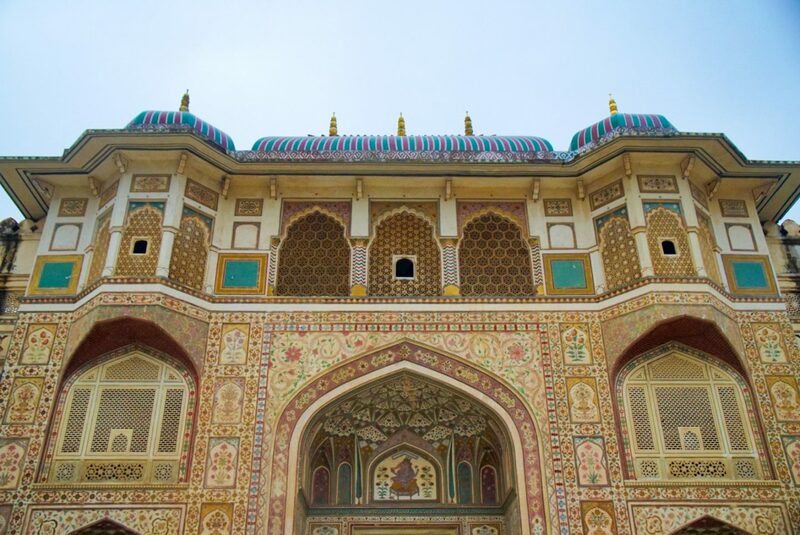 I was particularly excited for my small jaunt to Jaipur, also known as the gateway to the ‘land of colour’, Rajasthan. 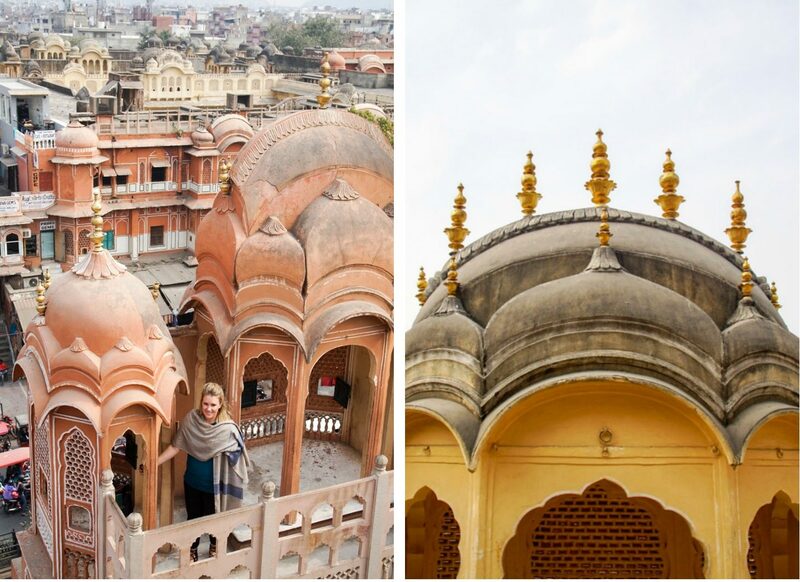 If Delhi was the more developed city of the two, Jaipur would be a more rustic, less influenced place to explore. 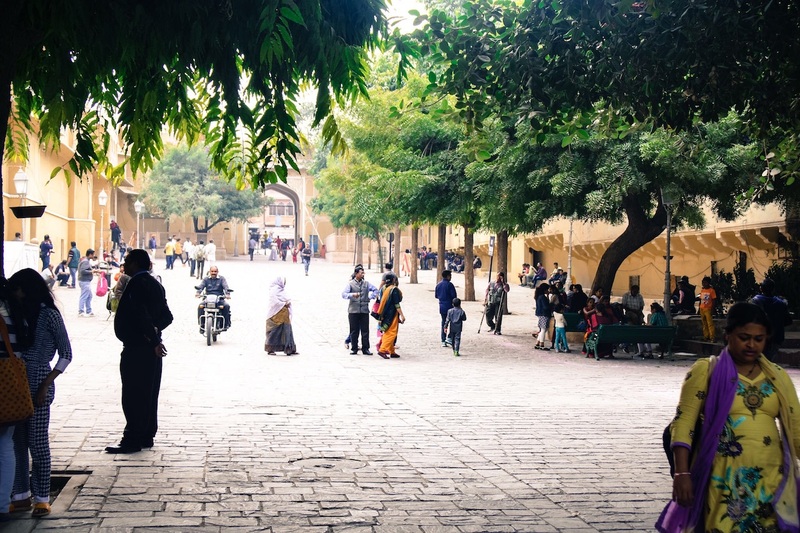 I reveled in the block print linen, bustling bazaars and pink washed buildings anatomizing the city. 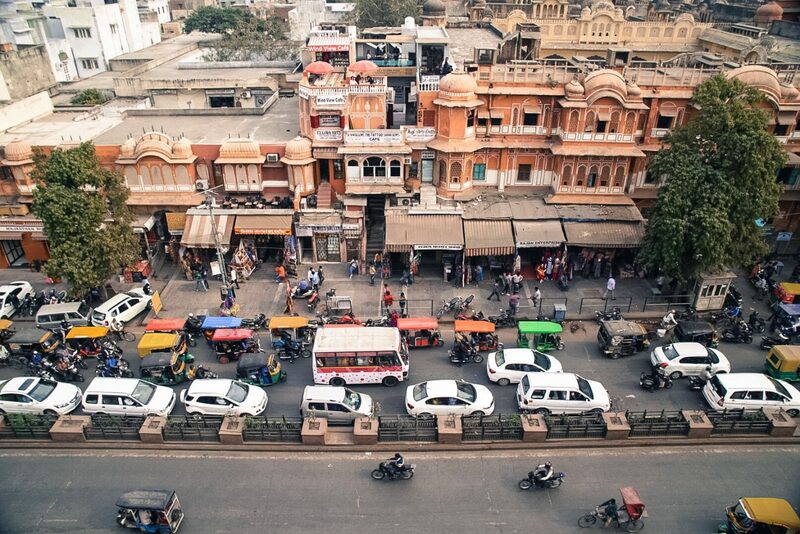 There was also chaotic street traffic weaved around extravagant royal palaces. 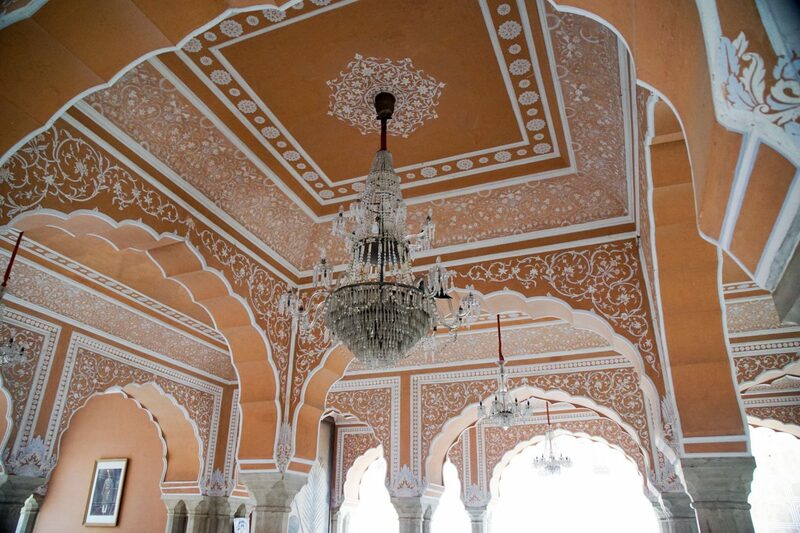 Not quite pink, but rather a shade of terracotta, the colour of hospitality. The city was painted pink in anticipation of a royal visit from Prince Albert in 1870’s and has remained ever since in the old city. 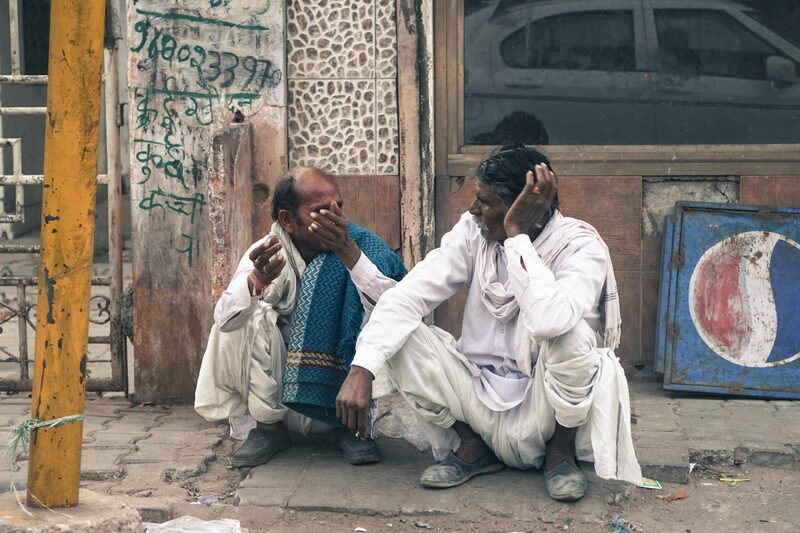 While the rest of the city has these qualities, it is also shared with the reality of much of India. 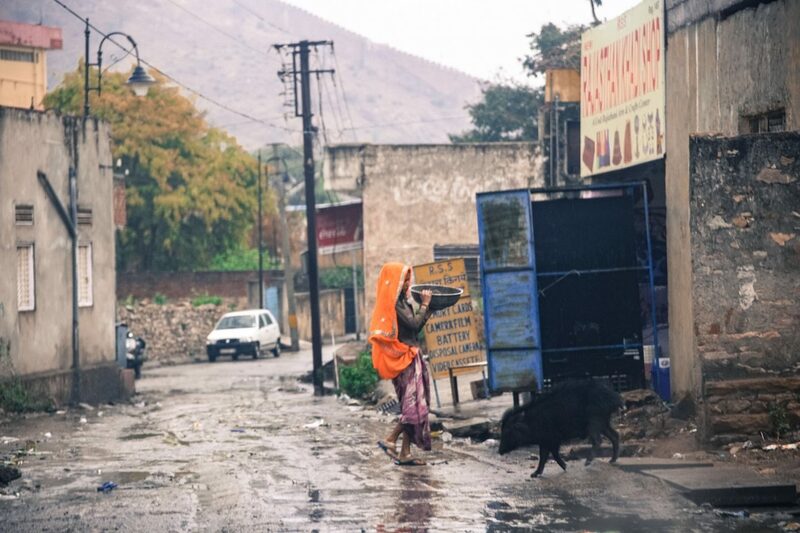 As I drove into the city, I was shocked by the sheer poverty on the main street. I didn’t realize it would be quite exposed. Nor was I expecting it to be hidden from reality or the tourists that would drive into the city. I saw little children playing in their underwear chasing their version of a kite which was a plastic bag tied to a piece of string. A few metres away, pigs, dogs, and goats grazing on the day’s scraps left on the street. For me, this was an important observation while travelling around India. Yes, there are absolutely exquisite places to see across the country, but there is also another reality often forgotten about or ignored. 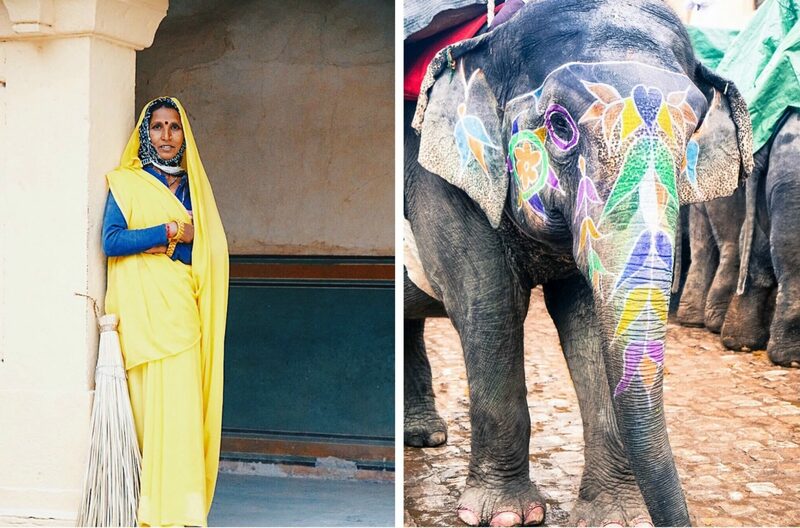 I wasn’t coming to India to only see the ‘pretty’ side of the country and pretend not to see the rest. 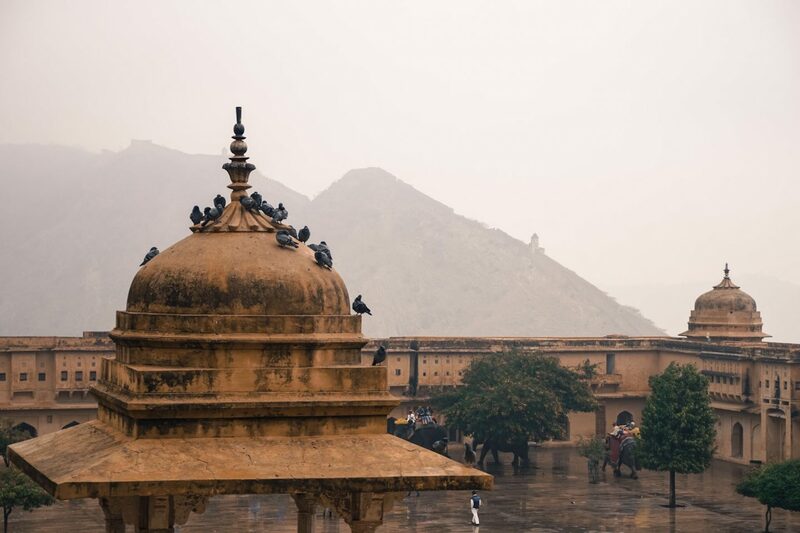 I had two full days and 1 night in Jaipur on a private tour I booked through Viator, a company that effectively consolidates all the tours companies together in one spot and makes it easy to book tours with a foreign company. The Indian tour company was GetsHolidays, which in hindsight I could have booked directly with online and saved myself $200. The tour includes a private driver and a guide for the whole period. Accommodation and meals provided by the hotel are also included in the tour cost. 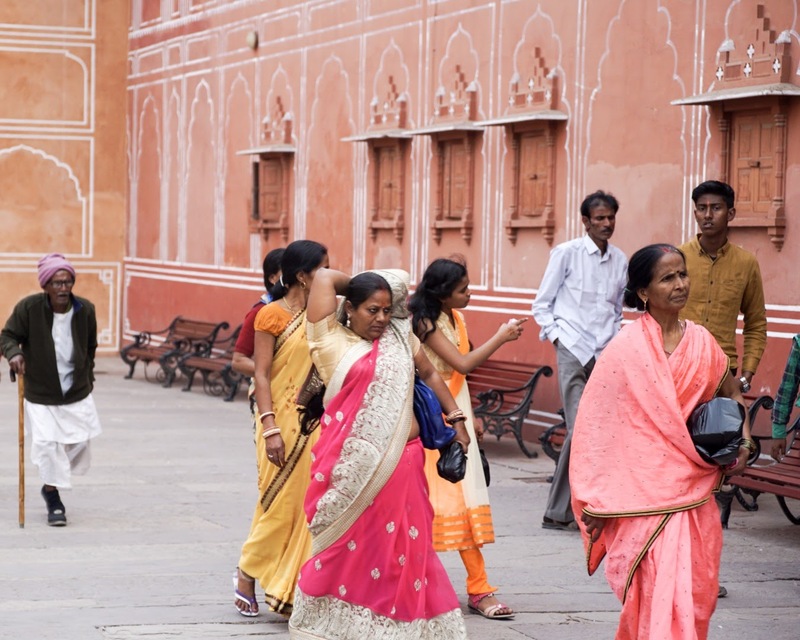 Overall, I think it is quite affordable if you book directly with a local tour company. My one tip with these private tours is to speak up. If there is something you really want to do make sure you tell the guide. I would have liked to walk through the city a little more. The itinerary is simply a guide, not absolute, so you are more than entitled to ask to go somewhere if you had read about it. 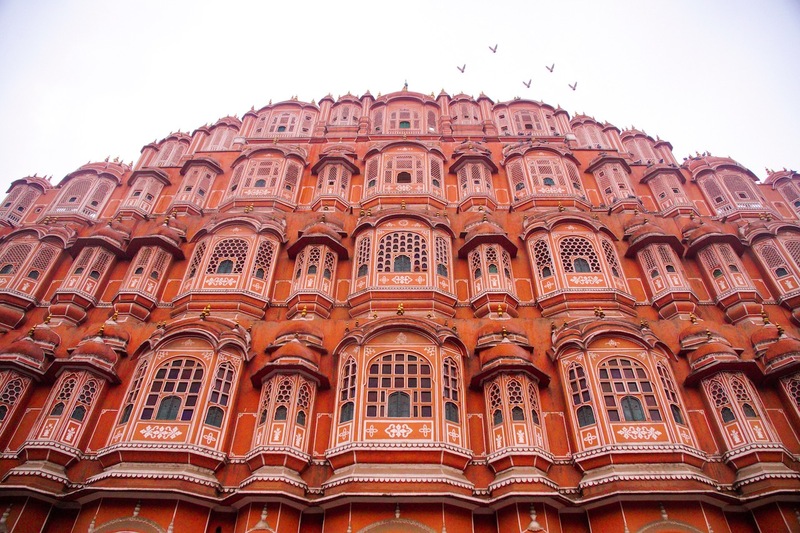 Directly translated as the Palace of Winds, Hawa Mahal is one of Jaipur’s most recognizable landmarks. 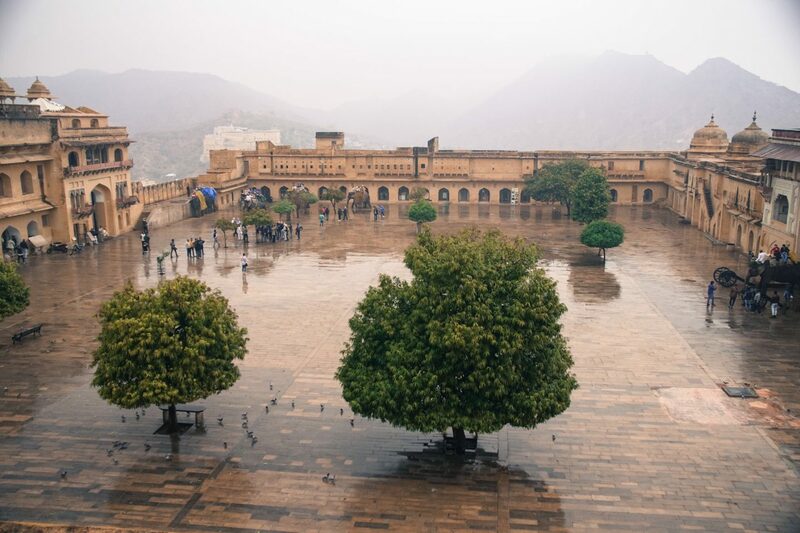 The huge wall that resembles a beehive is actually rows of windows for the women of the royal household to view all the festivities on the street below without being seen from the outside. 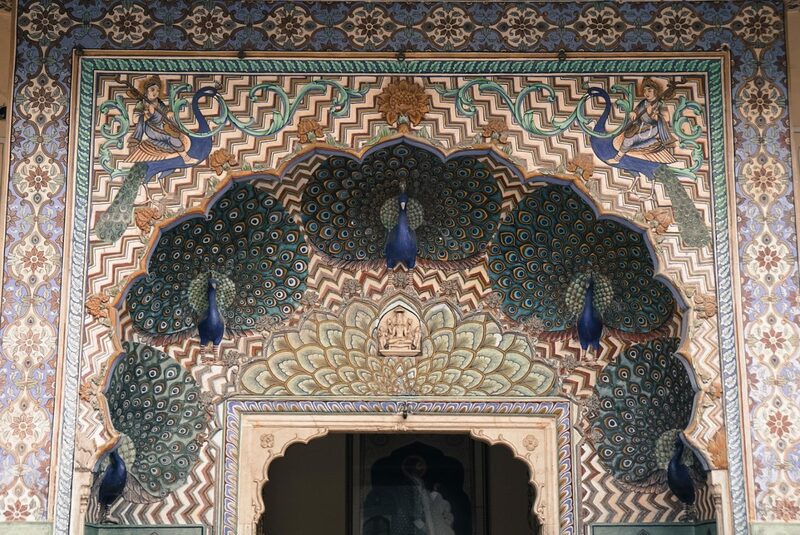 Most people recognize the City Palace by the famous Peacock Gate, which is just one of four gates, each representing a season of the year. 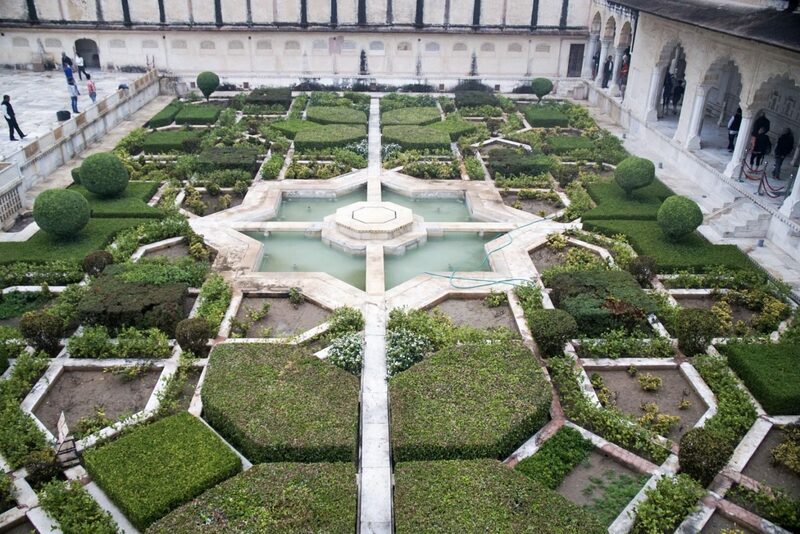 But there is more to City Palace than the gates, including lots of history and magnificent architecture. 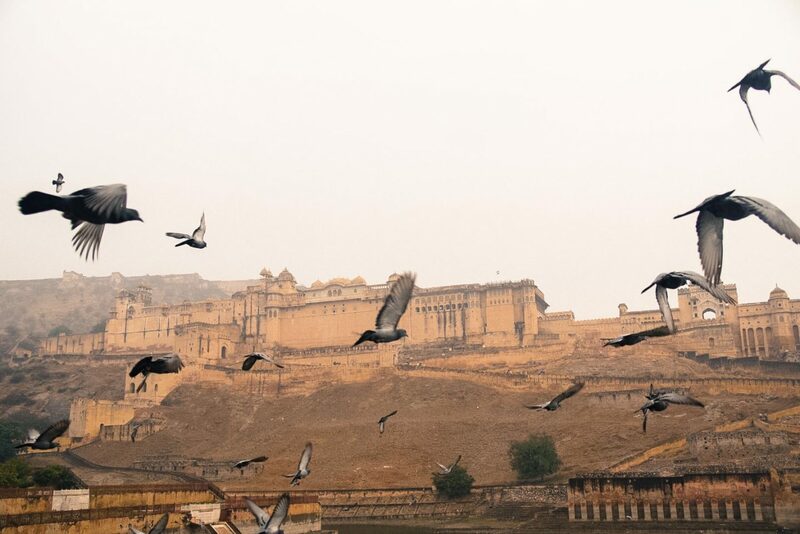 Amber Fort (pronounced Amer) is on the outskirts of Jaipur in a small town called Amer. 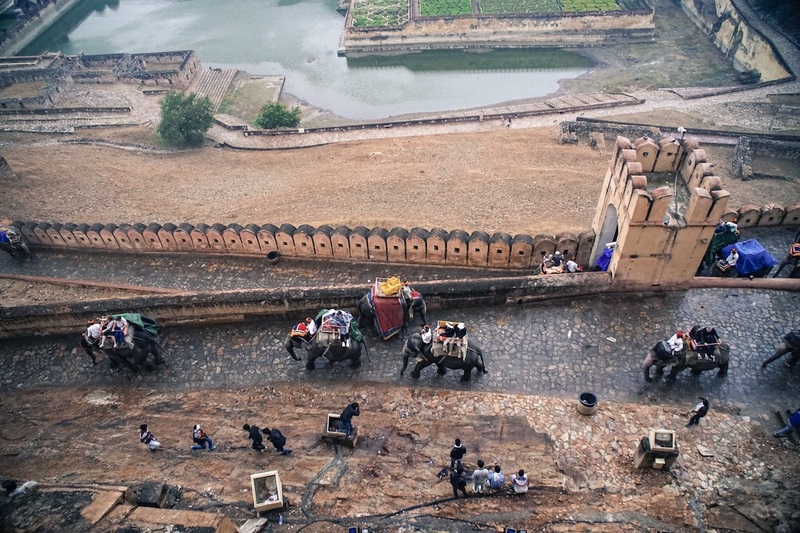 There are a couple ways to get to the top of the fort including an elephant ride. I chose to ask our driver to drive up to the foot of the hill and admire the beautiful creatures from afar. 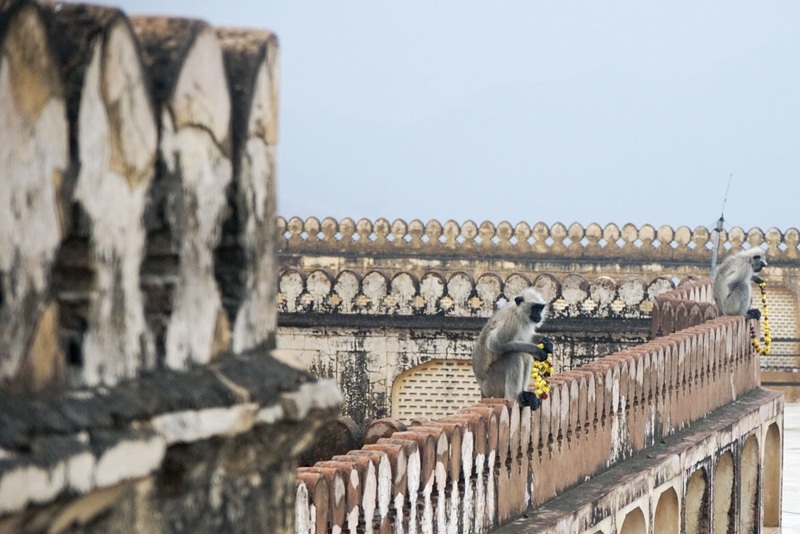 There are some amazing opportunities for photos including the beautiful women who work as sweepers, ornate buildings, manicured gardens and the monkeys that kind of rule the fort now. 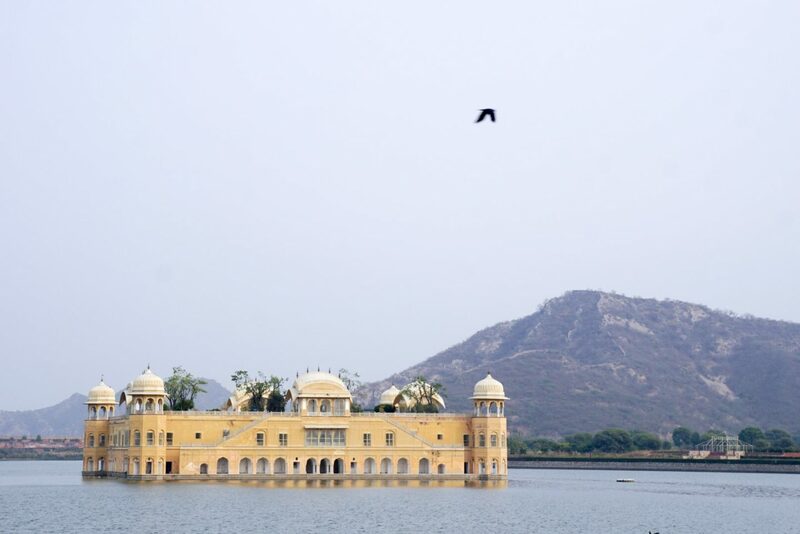 This palace sits right in the middle of a lake and looks like it is floating. While it is very beautiful to see, I would spend more time walking up and down the garden next to the river where the locals hang out. 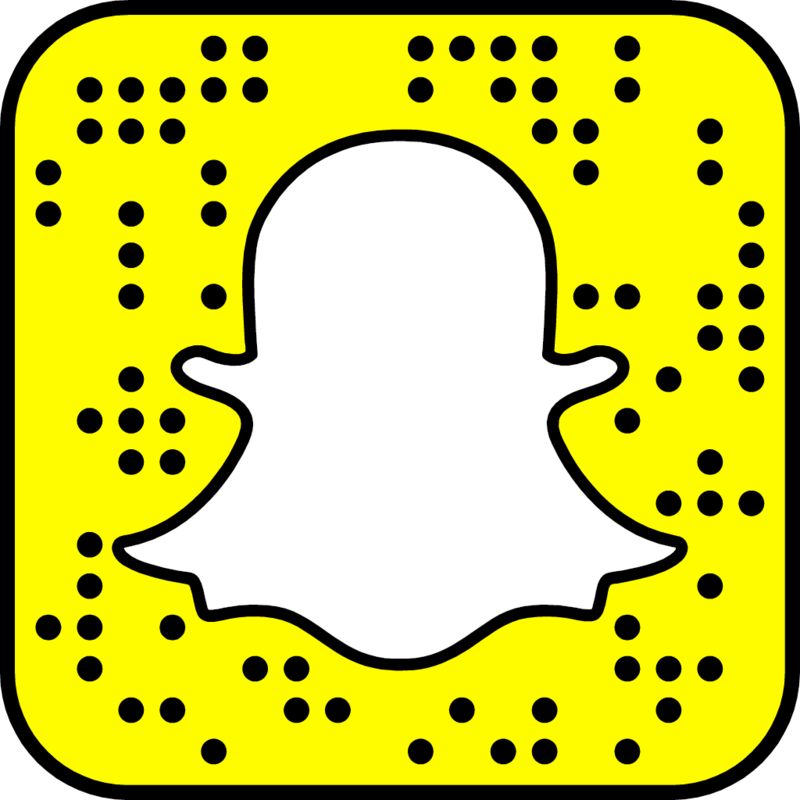 If you do a tour, it will be very likely they will stop at one of the many factories to show how the local specialties’ are made. Feel free to say a firm no to going in. 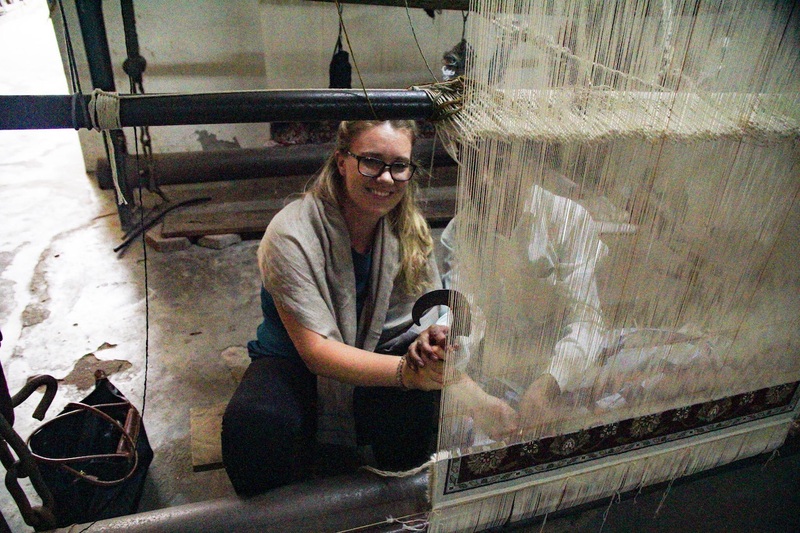 I will say it is quite interesting to see the process of the block printing and hear about how many months go into hand knotting a rug. But you also have the right to just see and not feel obligated to purchase. 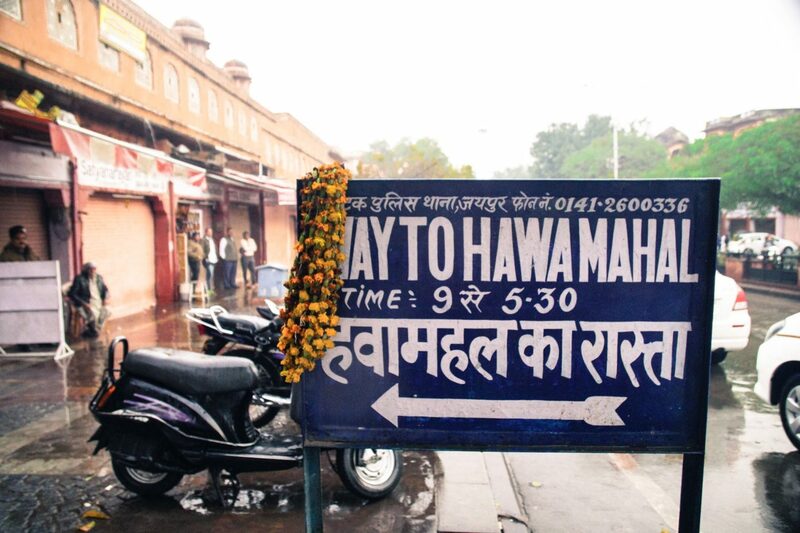 An exquisite all blue bar and Italian restaurant right in the middle of the pink city. Funny I know, but wow this place is someone else. This is luxury ornate India with not just one accent chair but rather accent everything. 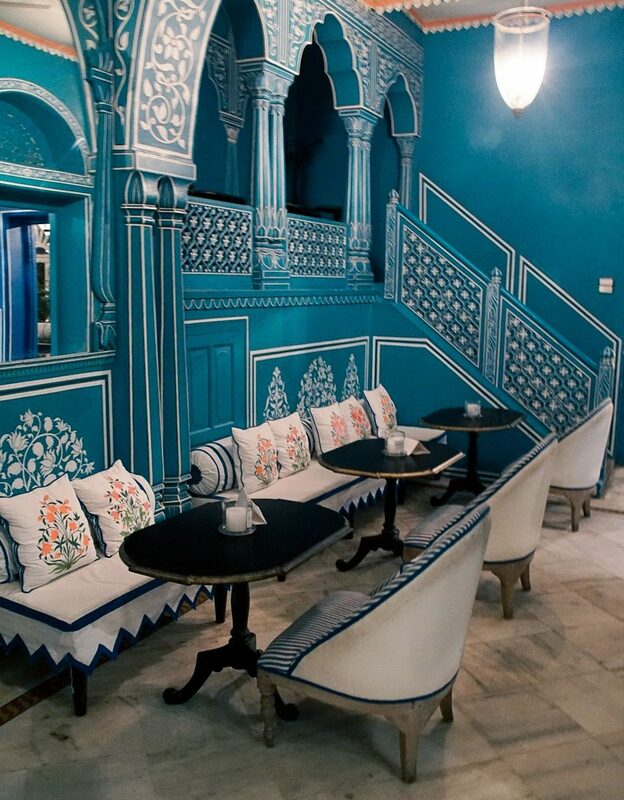 This stylish hangout has become the place to have a drink in Jaipur.